As Americans debate whether the Patient Protection and Affordable Care Act (ACA) and its promise of guaranteed healthcare coverage should be overturned, a surprising number of less affluent nations are moving to provide medical insurance to all citizens. Many political leaders globally have concluded that creating a system of universal healthcare is essential to remaining competitive and supporting economic growth. After years of underfunding healthcare, China is completing a three-year, $124 billion initiative that will cover more than 90 percent of its population. Mexico, which 10 years ago covered less than 50 percent of its population, just completed an eight-year drive for universal coverage that has noticeably expanded access to lifesaving treatments for diseases. In Thailand, where the GDP per person is 20 percent of America’s, just one percent of the population doesn’t have health insurance. Rwanda and Ghana — among the world’s poorest nations — are creating networks of insurance plans to cover their citizens. “This is truly a global movement,” said Dr. Julio Frenk, a former health minister in Mexico and dean of the Harvard School of Public Health. “As countries advance, they are realizing that creating universal health-care systems is a necessity for long-term economic development.” Many countries are still struggling to improve the quality of their medical care. And making health care affordable remains a challenge for most countries, as it does for the U.S., where about 15 percent of the population lacks coverage. Today, the United States is the only one of the world’s richest nations that does not provide healthcare coverage for all citizens. 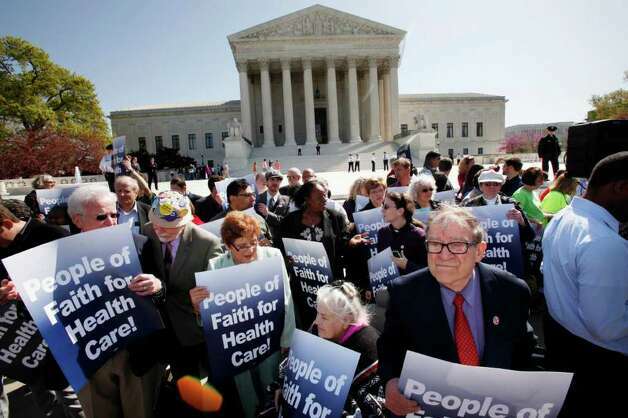 The Supreme Court is expected to hand down a ruling on a legal challenge to the ACA in June. Some countries established public systems similar to those in Great Britain and Canada. Others rely on a mix of government and commercial insurance, similarly to the ACA. The Thai system, set up a decade ago, has survived years of political upheaval and a military coup. “No party dares touch it,” said Dr. Suit Wibulpolprasert, a senior adviser to the Ministry of Public Health. “We are really an outlier,” said David de Ferranti, a former World Bank vice president who heads the Results for Development Institute, an international non-profit organization based in Washington. That stands in sharp contrast to the United States’ leadership in education, he said. Long before most European nations, the United States assured access to public schooling. “People are demanding responses from their governments,” said Cristian Baeza, the World Bank’s director for health, nutrition and population. In countries such as India, political leaders know that one of the surest ways to get votes is to promise better access to healthcare. President Barack Obama has thrown down the gauntlet in announcing the first National Alzheimer’s Plan, which sets a deadline of 2025 to find ways to effectively treat — or at least delay — the mind-destroying disease. The Obama administration is laying out numerous steps the government and private partners can take over the coming years to fight what is poised to become a defining disease of the rapidly aging population. Families and caregivers with a family member suffering from Alzheimer’s can visit a new website for information about dementia and where to get help in their own communities. The National Institutes of Health (NIH) is funding new studies of possible therapies, including a form of insulin that is shot into the nose. “These actions are the cornerstones of an historic effort to fight Alzheimer’s disease,” Health and Human Services Secretary Kathleen Sebelius said. The National Alzheimer’s Plan comes as leading scientists and researchers are meeting at the NIH to debate what research needs to be prioritize to meet that 2025 deadline. According to the researchers, the time is right to begin testing potential therapies before people have full-blown Alzheimer’s symptoms, when it may be too late to help. “There’s a sense of optimism” as a result of some new discoveries, Dr. Francis Collins, director of the National Institutes of Health, said. But, “we need to figure out exactly where is the best window of opportunity” to battle Alzheimer’s. Collins noted that cardiologists don’t test cholesterol-reducing drugs on people who have advanced heart failure. The research is being funded by grants of $16 million and $7.9 million respectively. Experts predict that unless more effective drugs are developed, the number of Americans with Alzheimer’s will double by 2050 and related healthcare costs could soar to more than $1 trillion. Alzheimer’s affects approximately 5.1 million Americans today; current treatments address symptoms, but do not prevent the disease or halt its progression. The 2025 goal was the subject of a long debate in the advisory council tasked with helping to write the national plan. “We had people saying it was overly ambitious and we had people who said it wasn’t ambitious enough,” said Don Moulds, principal deputy assistant secretary for planning and evaluation at HHS. According to Moulds, some were concerned that an earlier goal might skew research funding into treatments that might be easy hits, but not game-changing treatments. The 2025 target was deemed to be the earliest date when an effective treatment could be found. “It’s a huge initiative and a very ambitious step in the right direction,” Moulds said. Researchers leading the largest clinical study ever done on Alzheimer’s disease have run into an unexpected hurdle. With nearly 500 patients undergoing MRI scans, PET scans and even spinal taps, researchers hope to invent the first ever test to find Alzheimer’s before a patient loses any memory — or even knows there’s a problem. 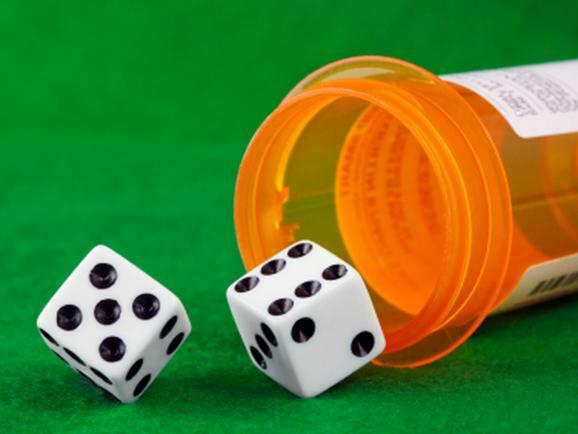 “We may be able to screen and begin treatment even before any symptoms begin,” said Dr. Raymond Turner of Georgetown University Hospital, which is one of 57 centers participating in the study. Eric J. Hall, president and CEO of the Alzheimer’s Foundation of America (AFA), “This day has been a long time coming. 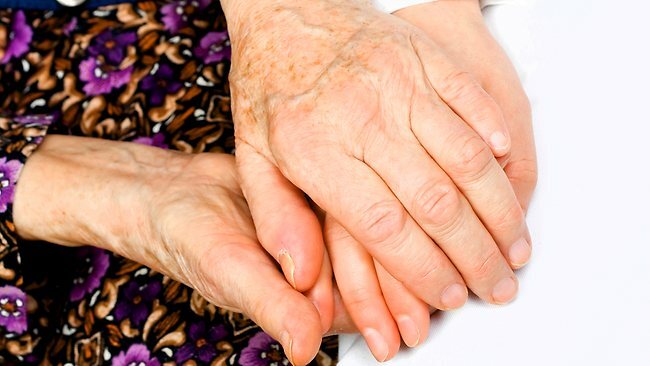 The release of the ‘National Plan To Address Alzheimer’s Disease’ reflects the growing impetus among the public and policymakers to act on a disease that has been in the shadows for far too long. We commend President Obama, HHS Secretary Kathleen Sebelius and Congress for uniquely recognizing and responding to the implications of the Alzheimer’s Disease epidemic. Recognition is essential for action, and their courage has forged enormous opportunity. Between 36 million and 112 million Americans have pre-existing conditions, according to the Government Accountability Office (GAO). Previously insurers have been able to deny coverage to sick people or offer policies that don’t cover their pre-existing conditions. The Patient Protection and Affordable Care Act (ACA) prohibits insurers from charging higher prices to people with pre-existing conditions. Americans with pre-existing conditions represent between 20 and 66 percent of the adult population, with a midpoint estimate of 32 percent. The differences among the estimates can be attributed to the number and type of conditions included in the different lists of pre-existing conditions. The GAO compared several recent studies that tried to determine how many adults have pre-existing conditions, based on the prevalence of certain common conditions. Hypertension, mental health disorders and diabetes are the most common ailments that lead insurers to deny coverage, GAO said. The report doesn’t say how many of those people are presently uninsured, but the insurance industry said that number could be relatively low. Most people have insurance through an employer that is available irrespective of pre-existing conditions, according to America’s Health Insurance Plans (AHIP). The trade association stressed that requiring plans to cover everyone is closely linked to the individual mandate, which the Supreme Court could strike down this summer. There is widespread agreement that the two policies must go hand-in-hand — the Obama administration told the Supreme Court that if it strikes down the mandate, it should also toss out the politically popular requirement to cover people with pre-existing conditions. GAO’s analysis found that nearly 33.2 million adults age 19-64 years old, or about 18 percent, reported hypertension in 2009. People with hypertension reported average annual expenditures of $650, but expenditures reached $61,540. Mental health disorders and diabetes were the second and third most commonly reported conditions. Cancer was the condition with the highest average annual treatment expenditures — approximately $9,000.